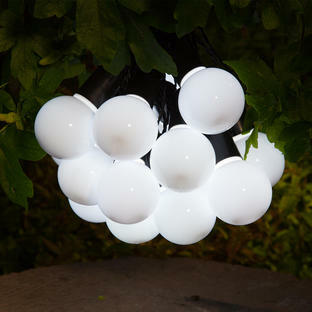 These gorgeous solar string lights look fabulous woven around pergolas or through trees or shrubs. 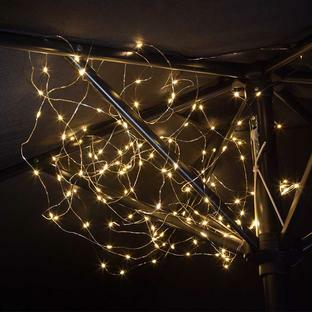 Give light and extra ambiance to your outdoor parties by gently twisting these copper wire solar lights around your patio, pergola or shrubbery. With 100 warm lights on over 9.9 metres of wire, they will give a stunning, twinkly effect for evening garden parties or alfresco supper parties. 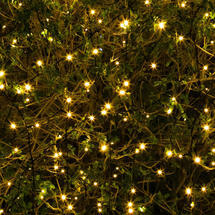 The string lights are solar powered and have a dawn to dusk sensor so as the light fades they will spring into action! The string lights will then run for 6 hours before switching themselves off. Position the solar pack on top of the parasol to ensure maximum exposure to sunlight. 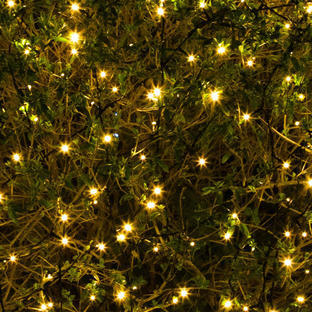 If you need more than 9.9 metres of string lights, then these lights are also available at c40 metres.